Learn to stamp, color, and stencil concrete. This educational demonstration at Chicago Contractor Supply will show how to use Brickform textures, colors, and reusable Concrete Dimensions stencils to create beautiful and functional concrete finishes. Contact Keith Diehl at 630-616-2170 to RSVP. Products: New Concrete,Staining & Coloring Concrete,Stamping & Texturing Concrete. Join Solomon Colors Dir. of Technical Services Chris Becker as he teaches a comprehensive stamping class during this education demo at Advanced On Site Concrete. 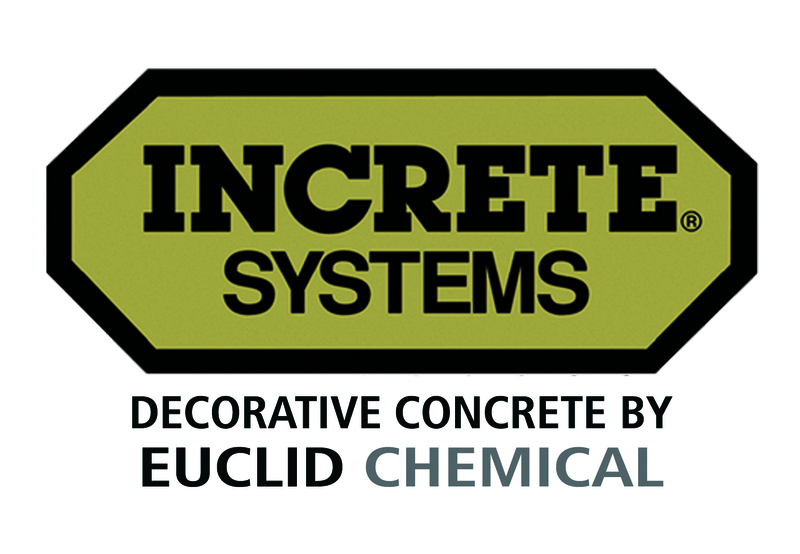 Learn the fundamentals of decorative concrete. Attendees will learn how to create stamped concrete finishes using Brickform Color Hardener, Brickform Anqtique Release, and Solomon Colors integral colors. Please contact Mike Massina at 847-6060-1180 to RSVP. Products: New Concrete,Overlays & Toppings,Staining & Coloring Concrete,Stamping & Texturing Concrete,Vertical Appl. & Hardscapes,Business Management,Restoration & Maintenance. Products: Staining & Coloring Concrete,Restoration & Maintenance. Products: Countertops & Cast Concrete. Join us for a decorative concrete demonstration at White Cap Supply in Manchester, NH. This demonstration will include live pouring demonstrations of exposed aggregate finishes, Concrete Dimensions reusable urethane stencils, and stamped concrete using Color Hardener. Water based stains and sealing will also be covered. In this FREE, one day training, we will be covering basic maintenance on floor grinders from Husqvarna, Pullman Ermator, and HTC! We will have an on-site mechanic from Husqvarna who will be demonstrating basic equipment repairs. He will also cover daily, weekly, and monthly checklists to help you keep your equipment running at full capacity! A light breakfast and lunch will be provided. Products: Polishing & Grinding,Restoration & Maintenance. Concrete Texturing Tool and Supply is hosting a FREE High Performance Coatings Workshop featuring Kingdom Products - Epoxy and Metallics - Decorative Concrete Sealers Workshop - Cleaning and Resealing Decorative Concrete - Service Previously Sealed Concrete - Stripping and Recoloring/Sealing Concrete DON'T MISS THIS FREE OPPORTUNITY! Las Vegas is a hotbed for decorative concrete. Get in on the action by learning how to stamp, stain, and all sorts of other decorative concrete finishes. Join us at Southwest Construction Supply for an educational demonstration. Lunch and refreshments will be provided along with a FREE 1 gallon bottle of DAY1 Finishing Aid RTU. There will also be drawings for discounts on Brickform products. RSVP by May 11th by emailing tlopez@swclv.com or truscetti@solomoncolors.com. Call 702-364-003. North Haven, CT Butterfield Color Inc.
On May 23, 2019, Contractors Supply will host a training seminar on Butterfield Color® and Scofield® decorative concrete products. During this seminar, products and processes being demonstrated will include pouring and placing stamped concrete using Integral Color, Color Hardener, Powder Antiquing Release, Clear Liquid Release, Stamping Tools, Step Liners, Stampable Overlay, Fine/Sprayable Overlay, and Concrete Countertop Mix. Contractors will be encouraged to be involved in the demonstrations and get hands-on experience working with the materials. Representatives from Butterfield Color®/Scofield® will be on-site to offer assistance and answer any questions. Lunch will be provided for attendees. Cost is $25. Bonus-10% discount to participants if an order is placed that day. Contact Jerry Robinson at the number or email listed to the left or click the Butterfield Color, Inc. link above for more information. Products: Countertops & Cast Concrete,New Concrete,Overlays & Toppings,Staining & Coloring Concrete,Stamping & Texturing Concrete. 5 FULL DAYS of the Most Intensive Creative Concrete Training on the Planet! Plus, get a complete, turnkey system for marketing, selling and pricing your concrete creations. When done right, GFRC is extremely strong, flexible (literally) and durable. Learn how to make GFRC the right way by learning not just how, but *why*, from an engineer who will teach you sound principles that will give you a solid foundation for your creativity. Only then can you confidently express your own creativity without worrying about callbacks. The possibilities of concrete are endless. Yet too many pros are limiting themselves to competing against granite with boring, flat slabs and integral sinks (fabric formed or not), because they don’t have the confidence to take concrete to the next dimension – going 3-D! If you can dream it, you can create it with concrete – but only if you can figure out how to make the mold. Wow your clients and satisfy your creativity like never before. Learn truly 3-D mold making that will allow you to remove all limits on your creativity, with confidence. Your concrete creations will never be the same old same old again. You understand the fundamentals of mix design and mold making. Now you want to take your creations to the next level with amazing looks that will wow your clients and put more money in your pocket. These looks have been developed over decades by pioneers such as Buddy Rhodes and Ben Ashby. But you’re not here to imitate, you’re here to learn how to manipulate the mix in ways that create your own signature design. If you understand how to press, vein, marbelize, smooth, spray, embed, color, glaze and more, in addition to creating a sound mix and the mold to put it in, the possibilities are endless. Now in it's 39th year, the Increte two day decorative concrete seminar is still the best in the biz. Come learn from the pros as we take you through new construction and renovation options including stamp, integral color, exposed aggregate, microtoppings and stains, high performance flooring, sales and marketing, and much more! Products: Coatings,New Concrete,Overlays & Toppings,Staining & Coloring Concrete,Stamping & Texturing Concrete,Restoration & Maintenance. This seminar is FREE. It will be mostly hands-on, with a presentation component as well. We'll demonstrate our power trowel polishing system at a jobsite, so you can see real life applications. Slurry Solutions, Metzger/McGuire, Prosoco, Tennant and Multiquip will also be demonstrating their products. ollowing the training workshops and seminars are two days of exhibits and demonstrations, delivering the best opportunity to showcase and explore decorative concrete products and technology in action. 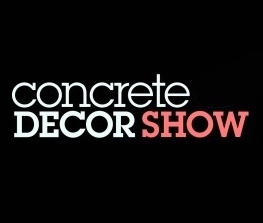 The Concrete Decor Show is designed to bring together all segments of the decorative concrete industry and to expand opportunities for everyone. Products: Coatings,Countertops & Cast Concrete,New Concrete,Polishing & Grinding,Overlays & Toppings,Staining & Coloring Concrete,Stamping & Texturing Concrete,Vertical Appl. & Hardscapes,Business Management,Pools & Water Features,Restoration & Maintenance. The Rapid RH® 4.0EX from Wagner Meters combines their patented Smart Sensor and innovative Easy Reader for fast, easy-to-use, and fully ASTM-compliant RH testing. At pennies per square foot, no recalibration or recertification issues, and the most rapid readings available, the Wagner Rapid RH® 4.0EX saves you time and money. The "Ultimate Concrete Countertop Training" in countertops, sinks, fire pits, furniture and more: - Get a true understanding of not just how, but why - Learn from scratch and have freedom of choice in your mixes - Comprehensive technical and business training, including marketing and pricing. CCI training gives you a complete system to build a successful concrete countertop business, with confidence. Be more creative without worrying about callbacks. Your one stop shop for all your concrete countertop and pool deck needs. We provide detailed instructional videos and excellent customer service to guarantee best results. Husqvarna Construction Products is a world leader in surface preparation equipment, tooling and our own HiPERFLOOR® polished concrete system. Our range includes planetary grinders, vacuums, tooling and accessories. Please visit our website to learn more. Brickform, a division of Solomon Colors, provides easy-to-use systems that work seamlessly together to resurface and restore aging concrete, or create new colored and textured hardscapes. We manufacture a full array of decorative products for texturing, coloring, polishing, resurfacing, finishing, sealing and maintaining your customers’ decorative concrete. BC Decorative Concrete Supply is a leading source in Texas for decorative concrete materials, equipment sales, rentals and industry expert technical support. Our goal is to provide customers with the best products available to meet their individual project needs through monthly trainings and demos and the availability of knowledgeable staff. BC Decorative has an extensive product line which includes stamps, stains, sealers, integral color, polishing equipment and tooling, overlays, coatings, countertop and vertical supplies. The Royal Family of Decorative Concrete & Engineered Cements - High-Performance, Industrial Grade, Premium Quality Product Manufacturing. Kingdom Products specializes in manufacturing Premium Quality dry powder, cement-based materials. Color Hardeners, Antique Release Agents, Concrete Repair & Restoration Materials, Standard & Stampable Overlays, Vertical Wall Mix and Custom Packaged Integral Pigments are only a small sample of the products available under the Kingdom Products brand. Private Label and Toll Blending services are also available. Expert training offered monthly. We feel that as manufacturers of cutting edge products combined with 40 years of experience sharing our knowledge with you will help you expand your decorative concrete business without unnecessarily high training fees. Your success is our goal. If we help you grow, you will help us grow. Come learn new techniques that will advance your skills and abilities. The Concrete Decor Show is the place where decorative concrete contractors, concrete artisans and newcomers to the concrete industry will gather for comprehensive business and training workshops, live demonstrations and state-of-the-art exhibits. Prepare yourself for a week of powerful networking with a lot of fun mixed in. Runyon Surface Prep Rental & Supply is a full-service sales and rental facility uniquely dedicated to the concrete polishing industry. Our uniqueness comes from providing our customers with a diverse equipment, product and supply portfolio. We offer training and support, such as technique workshops on prep, polishing or removal, and maintain a well-stocked inventory of consumables ready for your projects at a moment’s notice. Rather than perform contract work ourselves, we consult on job sites when necessary. With the backing of our vendors, Runyon Surface Prep offers support at any level, to assist in helping you get things done. We can deliver or ship wherever you need, or you can pick up from our main office in Indiana or our West Coast office. Jon-Don is a leading distributor of equipment, tools, and supplies for specialty concrete flooring professionals, from concrete prep and polishing, to epoxy coatings and dyes. As experts in our field and leaders in our industry, we’re committed to upholding the highest standard of service for all our clients. At every single class we take the time to get to know our students, with the intent to build a long-lasting relationship for years to come! Ensuring quality support to fit exactly what you need. Another aspect that sets us apart… You pay for the hands-on class once and then you can repeat the class free of charge anytime thereafter! Why You Should Choose Us Over Any Other Training Program? * We offer the best products to work with. This course is perfect for those seeking to enhance their skills in decorative concrete, the apprentice just getting started and the homeowner looking to tackle their own projects. Butterfield Color, Inc. manufactures a complete line of decorative concrete products for the treatment of new and existing concrete including integral colors, color hardeners, stains, antiquing & release agents, overlays, sealers, stamping tools, form liners and countertop mix. Concrete Polishing Solutions is a leading manufacturer of American-made equipment, as well as diamond tooling & chemicals for concrete surface preparation & polishing. Our mission is to build lifelong relationships with our customers through our knowledge of polished concrete, gained through years of experience & designed to help you save time & earn more on every job.